Meet Chiva, our IT Teacher and Technician. He is currently a second-year student at University and a staff member here at JWOC. Read more about his degree, job and interests in this blog post. My name is Chiva and I come from Sreysnam District. In my family, there are 5 members, and I finished high school 1 year ago. After I finished, I got a scholarship from PEPY Empowering Youth. For 1 month I studied at their student learning center. After 3 months, I started at University, and now I work at JWOC. At first, I studied Law for 1 semester, but I did not continue because I did not feel that it was right for me. Then I chose a new major, Information Technology, which I have studied for 2 semesters. I applied to work with JWOC, and I have now been here for 2 months. 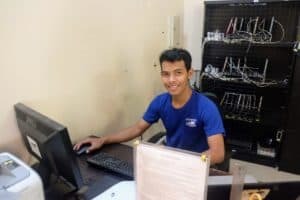 At JWOC my responsibility is to be the computer teacher and IT technician. I prepare the computers, check the schedules, track who is borrowing our laptops and tablets for their own use. Most days I teach 2 classes – in the morning I have one class which is about digital literacy using Microsoft Word, Excel and PowerPoint. In the evening, I teach Khmer Unicode typing and English typing. I love everything about JWOC, especially the staff who are so friendly and so kind. They always help me when I don’t understand something. The IT lab is always very cool and a good space for students to study. I want to study abroad and improve my skills and myself so that I can support myself and my family. I like cycling in the countryside. 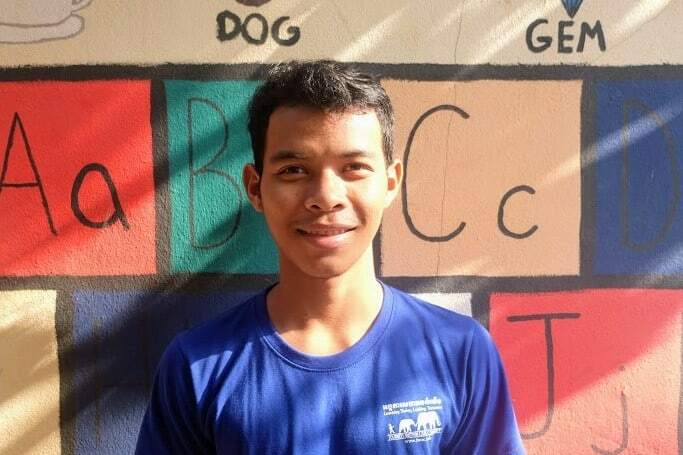 My favorite thing about Siem Reap is the temples, because I get to see a lot of people and sometimes, I get to practice my English and learn other cultures and countries outside of Siem Reap.